Microsoft killed the Courier tablet concept in favor of Windows 8 tablets, but the idea behind it has now found a new home, as an iPad app. 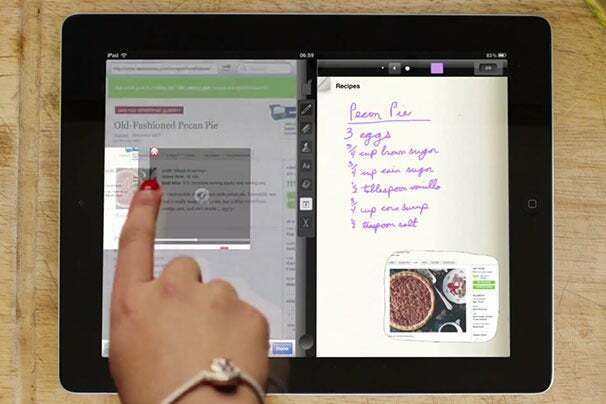 After four months of reviewing the app, Apple approved Taposé, an app that mimics the functionality seen in the concept videos for the now defunct Microsoft Courier tablet project. Microsoft did not develop the $2.99 app. It was created by two Seattle developers, Benjamin Monnig and Ricky Drake, with Kickstarter funding. They also had support from J Allard, the leader of the Courier project at Microsoft, who left the company shortly after the concept was axed. A concept image of Courier. Taposé will look familiar to those who have watched the Courier concept videos, otherwise, the app brings an entirely new way to interact with your iPad. The app works best in landscape mode, where you are presented with two side-by-side windows that can accommodate one of five modules. These include Journals (a notebook), a Web browser, maps, contacts or a calculator. A menu bar divides the two modules, which also allows you to select between several tools to create content in the journals. You can also drag the bar laterally so you can see in full screen either the right- or the left-side module. By dragging the bar up, you reveal the menu, where you can simply drag into a panel a new tool you would like to use. The journals module is where you can collate your work -- you can make cutouts from Web pages, record audio, use the hand writing tool (with your finger or a third-party stylus), type text, add images and videos or maps. You can also select from various paper stocks for the journal, and keep different notepads for various tasks. Journals can then be exported via e-mail, Dropbox and Evernote, and the app comes with 400MB of free cloud storage ($30 per year for unlimited sharing and collaboration with other app users). If you use your iPad more for business purposes than just reading, browsing the Web or watching videos, Taposé is definitely worth a go. The dual-panel interface can spare you a lot of going back and forth with the iOS multitasking bar, when you can simply drag elements from one side of the screen to the other. The first version of the app lack handwriting recognition though, and the graphics are not optimized for the Retina display.